Julie Van is a Research Analyst for the ICU Delirium and Cognitive Impairment Study Group at Vanderbilt University Medical Center. Shortly after graduating with a Bachelor of Arts in Marketing and Advertising from California State University, Fullerton, she received post-graduate training in creative advertising and art direction in Chicago. Despite her unconventional background as a designer, she transitioned her career to focus on an unexplored passion in the areas of psychology and neuroscience. She volunteered her time as an Advocate for the Child Abuse Services Team and served as a Research Assistant for psychology studies based in Cal-State Fullerton (false attributions following delayed exposure to stimuli), UC Irvine (negative mood regulation expectancies in foreign populations), and Cypress College (ritualistic behavior and effects on outcome performances). Before relocating to Nashville, she worked in research with Joyful Heart Foundation in collaboration with Georgetown University developing alternative treatment plans for female survivors of domestic violence, sexual assault, and child abuse. 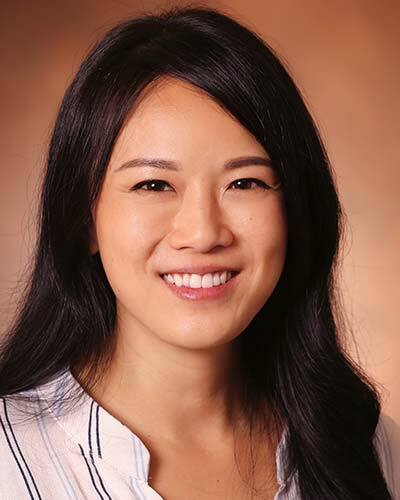 She hopes her role at Vanderbilt will further increase her understanding of neurocognitive testing and cognitive impairment, complementing her efforts to become a faculty researcher in neuroscience. Her research interests are synaptic plasticity in learning, memory, and behavior within human and animal populations. For more details of her work, please contact her for a copy of her Curriculum Vitae.